In a previous post, we looked at some of the emotions that can impact the way we manage our money. 360 Credit Consulting in Austin cares wants to help you learn how to channel your emotions in more productive ways so that you can get the credit report you want and deserve. 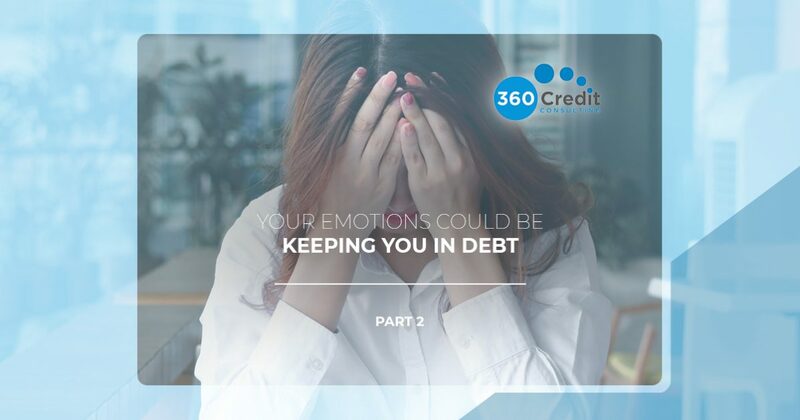 In today’s post, we’ll look at a few more of the emotions that can so easily entangle us and drive us further into debt. If you are tired of debt and are ready to make positive changes in your financial life, then contact 360 Credit Consulting today for your free credit analysis. The celebratory spend is one that too many of us know all too well. There are so many things to celebrate — you get a new job, a promotion, get engaged, lost the last 10 pounds, the list is endless. Each one of these moments is wonderful in its own way and deserves a celebration, but that doesn’t have to mean that you spend money to commemorate every celebratory moment. In fact, many people find that spending money even gives them a temporary rush of endorphins, which feels similar to a high from drug use. 360 Credit Consulting wants you to celebrate the moments in life that are worth celebrating, without spending money that sends you further into debt. Celebrations can be as simple as a healthy, homecooked meal to honor your weight-loss journey. You could celebrate your new promotion by saving a bigger portion of your paycheck for that dream vacation you’ve always wanted to take. When you call for your free credit analysis, we can begin the process of helping you see your financial trigger points, as well as how to take control and respond in a different, and more positive, manner. Fear typically motivates people to hold money back when they should invest it. When you are fearful, you probably realize that this is the time you hold onto your money even more tightly. While there are benefits to being frugal, don’t let this be the reason that you miss out on a smart investment opportunity that will help you financially in the long run. Wise investments can create the nest egg that you will need when you are ready to retire. If you don’t want to work in your golden years because you have to, then be sure to ask for advice on good investments. The professionals at 360 Credit Consulting are here and ready to help provide the expert advice you need when it comes to the best ways to invest your money. Keeping up with the Joneses is a phrase that exists for a reason — jealousy is a powerful motivator to spend money. It’s easy to look at what your friends and neighbors have and decide that you can’t be left behind. The problem with this way of thinking is that you don’t know where their finances actually are. 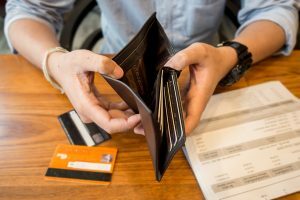 They could be deeply in debt due to their spending habits, but you’ll never know this because most people aren’t willing to share that type of personal information. Instead of trying to keep up by living beyond your means, decide to focus on the practice of gratitude and contentment. Take a good look at what you have in your life and you will be filled with gratitude. Focus on what you think is a “lack” and you will be consumed with jealousy. The last two emotions that we will look at today are very common emotions that you may experience when you think about the state that your finances are in. If you are ashamed of financial mistakes that you have made, then you probably don’t want to talk about them, even if it means getting the help you want. You want to look good in front of your friends and family, and you want to feel like a responsible adult who “has it all together.” The problem with this way of thinking is that you’re subconsciously buying into the belief that everyone else makes perfect decisions when it comes to their finances. Nothing could be further from the truth! Don’t let shame or embarrassment keep you from seeking the financial help you need. Call today and let us help you learn how to make the best decisions for a brighter financial future. 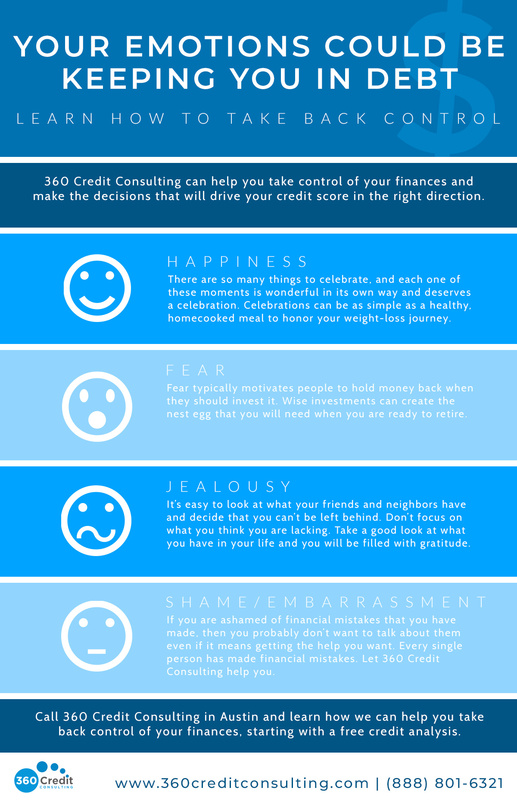 360 Credit Consulting in Austin understands how emotions can cause debt for many people, which is why we offer a free credit analysis to help you get on the right track. If you’re tired of letting your emotions drive you further into debt, then call our office today and learn about the debt counseling options we offer. Debt can be overwhelming, but it doesn’t have to be when you call 360 Credit Consulting. You can get the credit report you want, and we can help. Are you trying to get approved for credit or a loan? Improving your credit might save you thousands of dollars each year with better interest rates. We can help. You can save. Do you know what's on your credit? What makes it worse or better? Do you know how to maintain it? Get in the know with our free educational resources and start saving money.